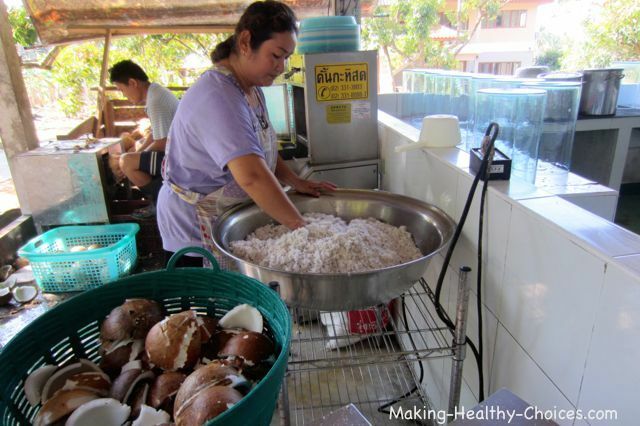 Coconut oil benefits are numerous and the uses are many, learn here all of this plus how cold pressed coconut oil is made. 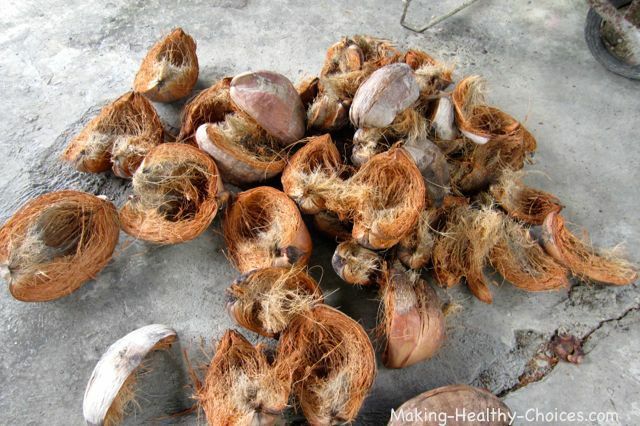 Coconut oil is made from aged coconuts that come from the coconut palm tree. 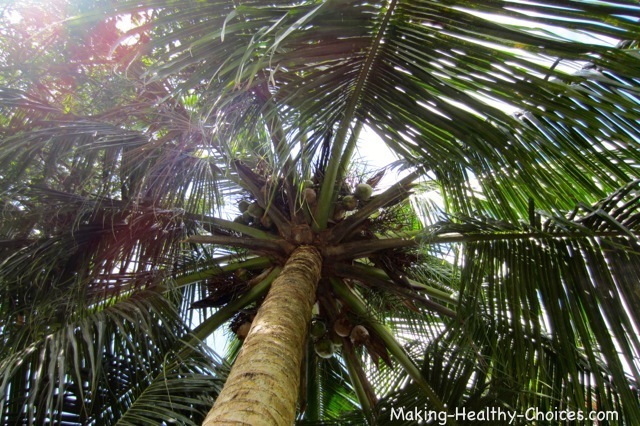 These trees grow in the tropics where coconut oil has long been used for health and wellbeing. 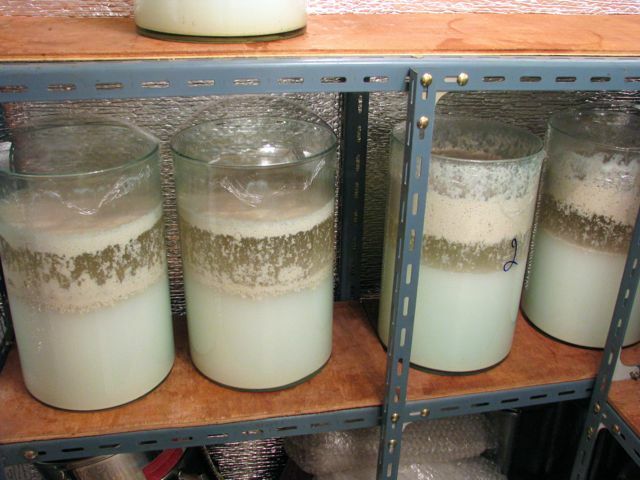 Coconut oil is a clear liquid that will solidify into a white creamy texture at temperatures below about 25C (77F). YES! 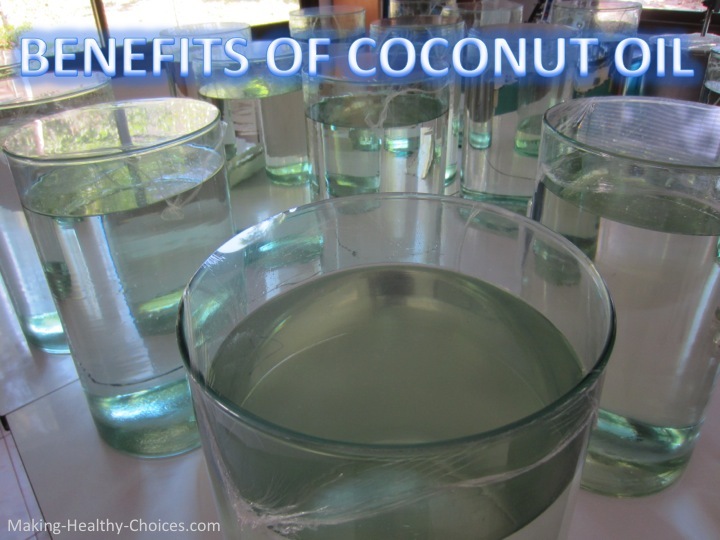 Cold pressed coconut oil is extremely beneficial to health. Coconut oil benefits us in just so many ways and has been used for ages. 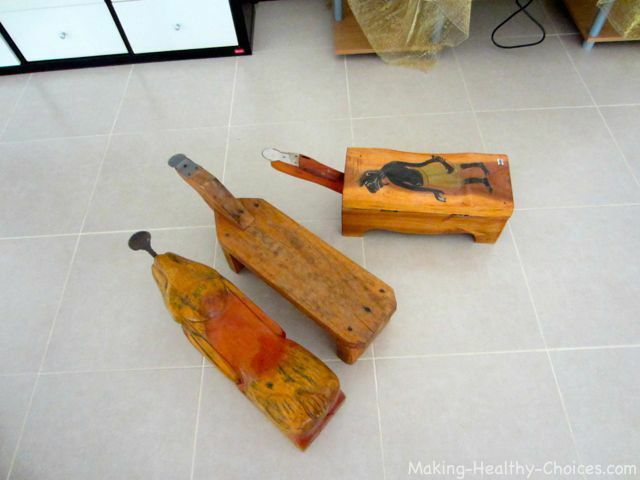 I always like to look back in time to see what our elders and ancestors turned to for health. 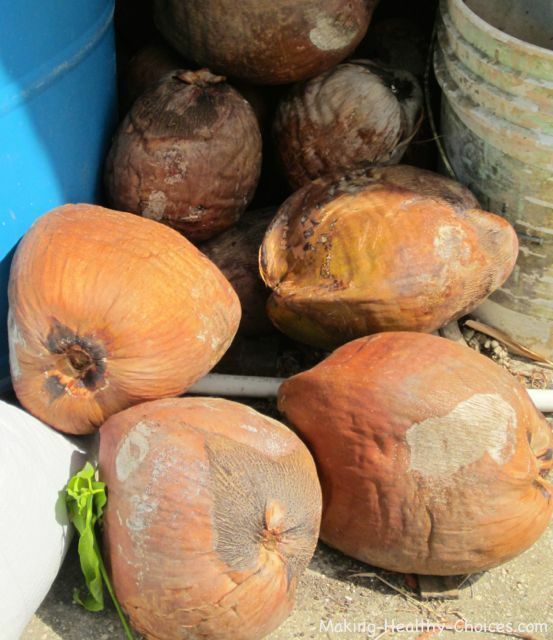 Coconut oil has been used for generations in the tropics both topically and internally. Fads come and go, as do trends, marketing campaigns and corporate propaganda. Even 'science' will 'prove' something to be bad for humans only to have another test show the exact opposite. Coconut oil has been through the ringer of all of this. Honestly, I have never paid much attention to any of that. I have always known and felt coconut oil benefits to be many and that it is a beautiful addition to health and wellbeing (as is every single part of the coconut and it's tree). 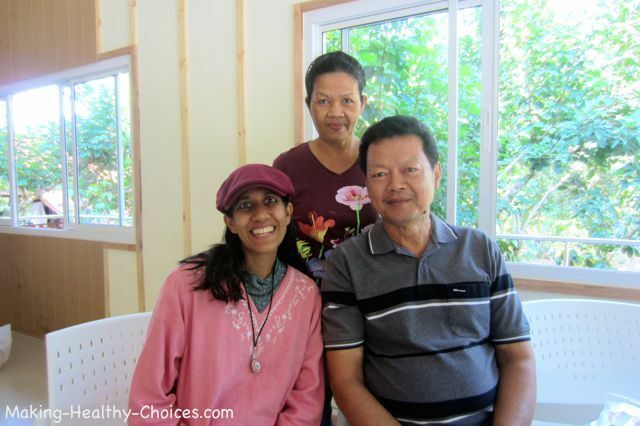 Long lived, very healthy and connected cultures have been successfully using coconut oil in their daily lives for ages - that is proof enough for me! Coconut oil benefits our bodies in so many ways. Below is a list of several of the benefits of this amazing food. 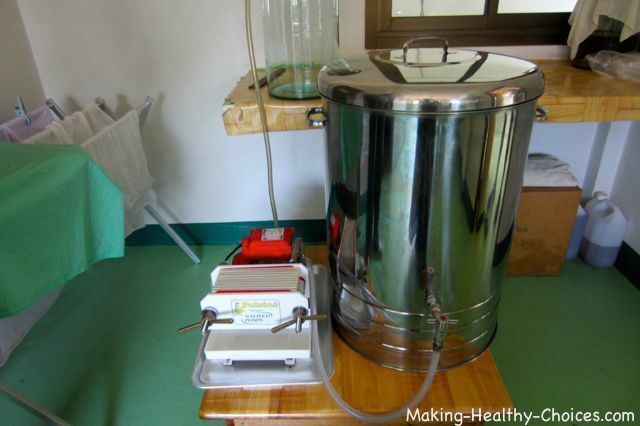 Part of learning about how coconut oil benefits our health is learning about the process of how cold pressed coconut oil is made. 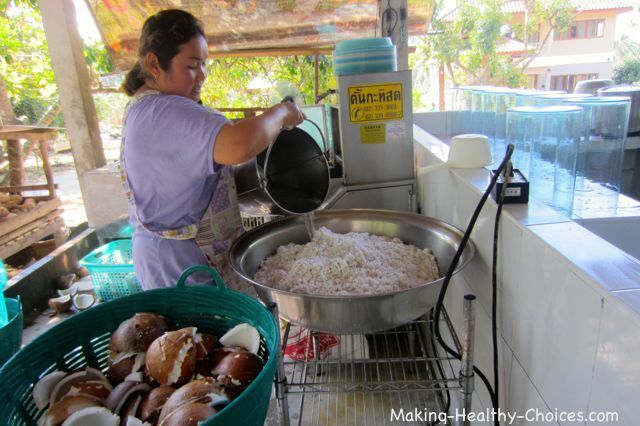 I visited a man in Thailand that has been making coconut oil using the cold pressed method for more than 14 years. He uses local coconuts right from the area where he lives. All local, completely fresh, made with love and care … when coconut oil is made like this, the taste and feel of it is exceptional. During my visit, the entire process was graciously explained to me. 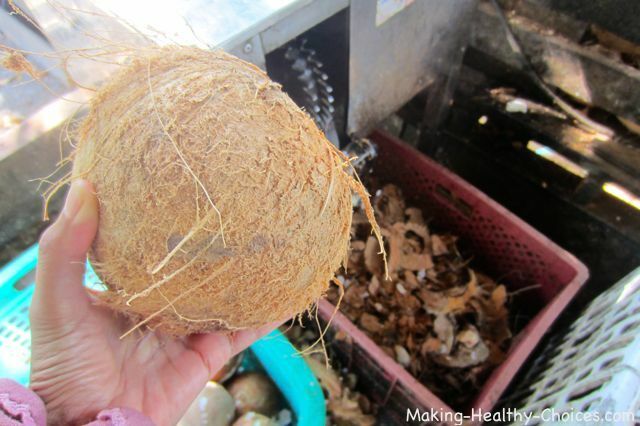 Below is a video and a write up explaining what I learned about how to make cold pressed coconut oil. If the video below does not play, click here to see it. 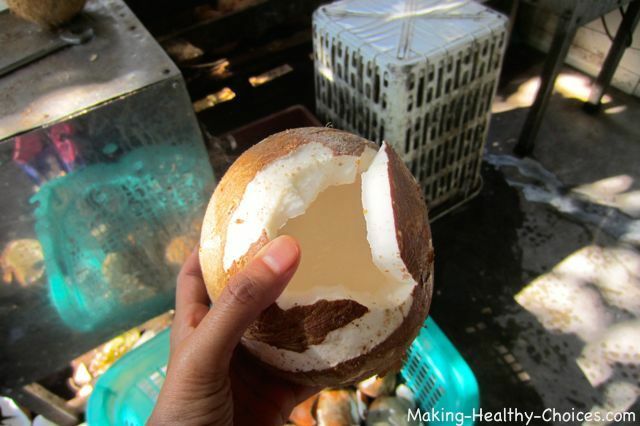 Once coconuts become mature (like in the picture below) the meat inside becomes hard and thick. 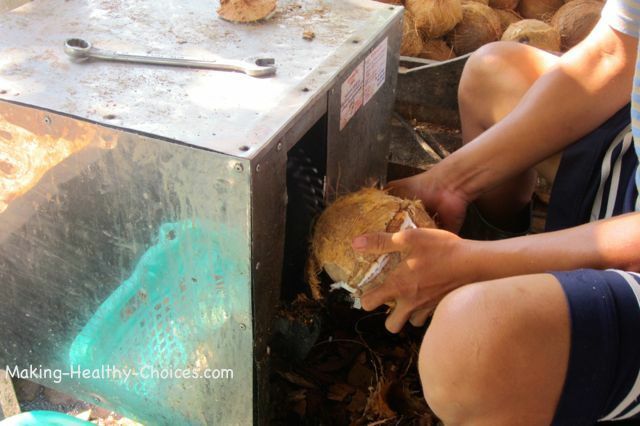 The fibrous outer husk is removed as well as the hard shell to reveal the hard thick white coconut meat inside. 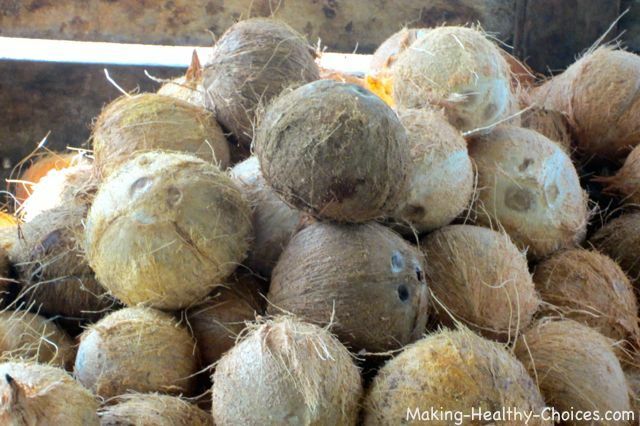 Mature coconuts (vs young coconuts) are used because, as the coconut matures, the oil content in the meat increases and it is this oil content that creates a beautiful coconut oil. Pictured above you can see that a machine is used to help to remove the very hard shell of the nut. At home, you can wrap the nut in a towel and then gently crack open with a hammer. 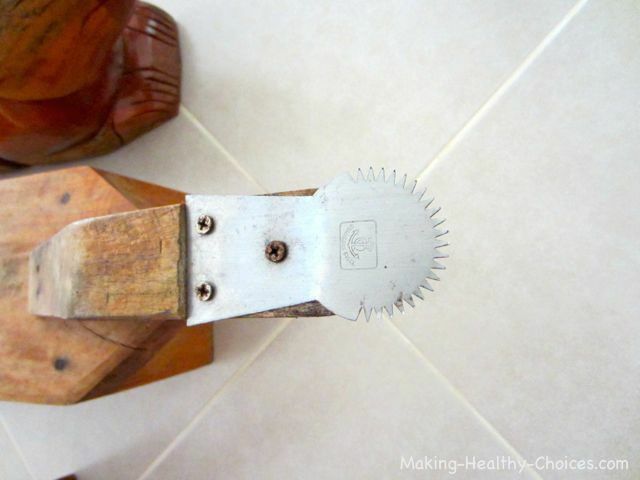 If you want to use the water (there will usually be a varying amount of coconut water inside the hard nut) you will need to pierce 2 of the 3 the eyes of the nut and pour the water out first. 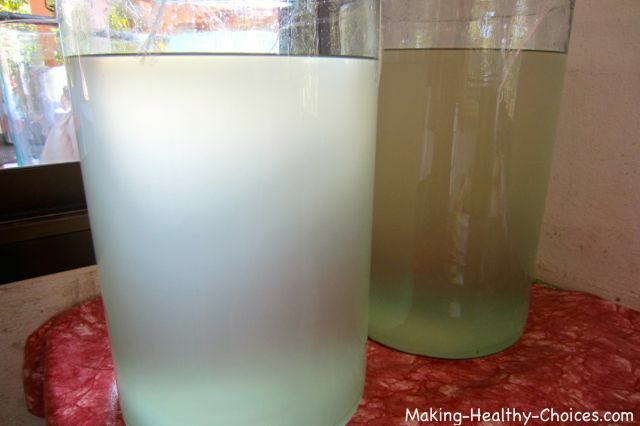 This coconut water can be drunk as is, used in smoothies, used to make coconut kefir or used in other recipes but it is not used in the process of making coconut oil. 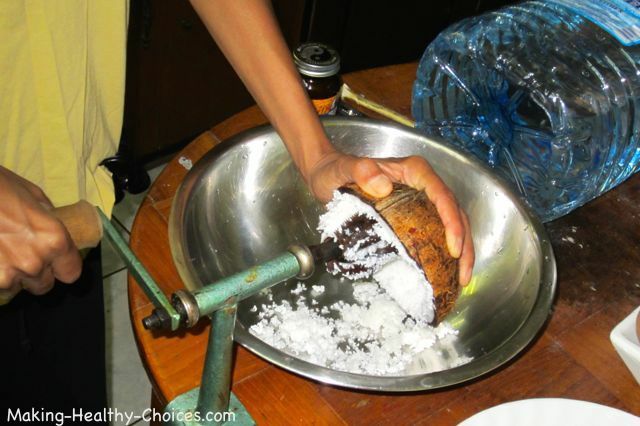 The next step in making the oil is to grate the thick coconut meat into fine shreds. 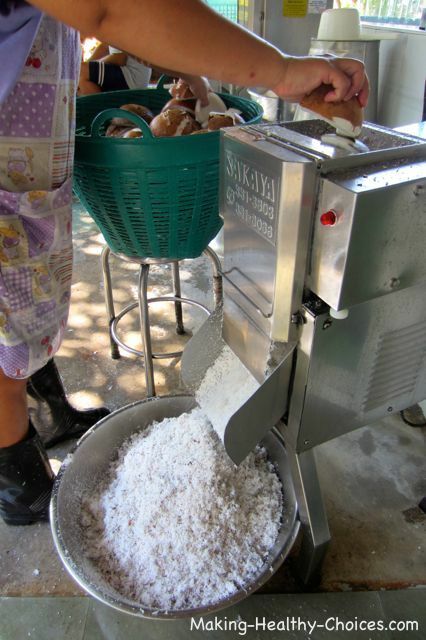 Next a small amount of good quality water is mixed in with the finely grated coconut shreds. 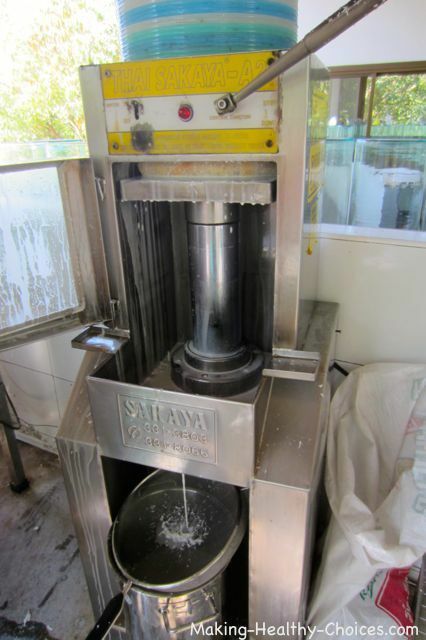 This water allows for more of the oils to be extracted from the grated coconut when it is pressed. 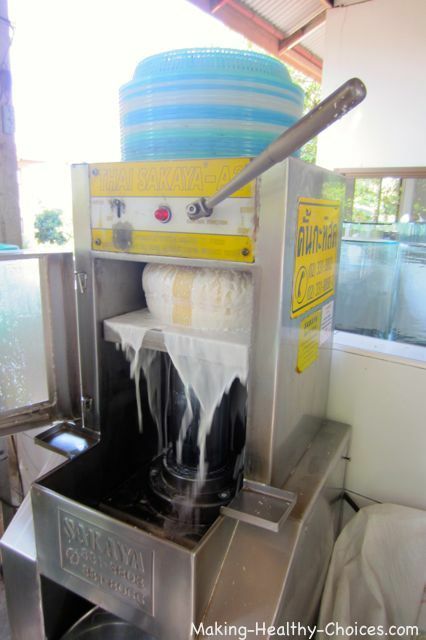 The coconut shreds are now put into a mesh bag and that bag is put into the pressing machine. 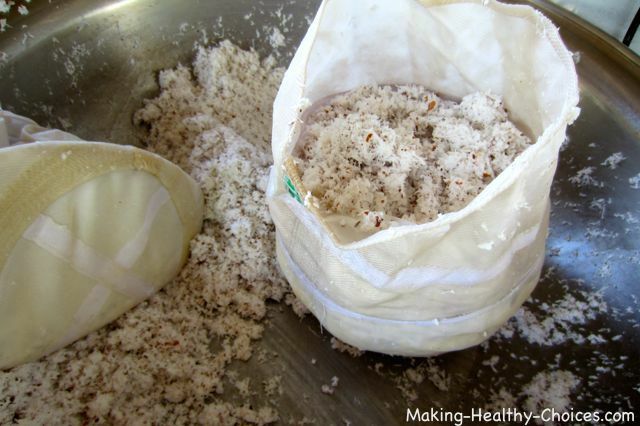 The bag is pressed more than once to extract as much of the coconut milk (which contains the oil component within it) as possible. 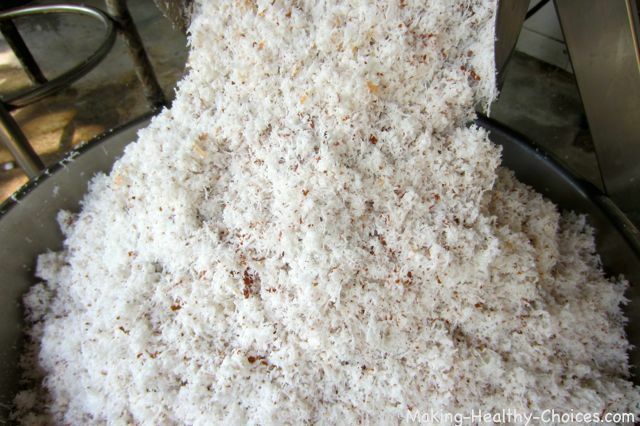 What is left over after pressing is just the fiber of the coconut. This can be dried and ground down into coconut flour which is wonderful to use in food recipes. 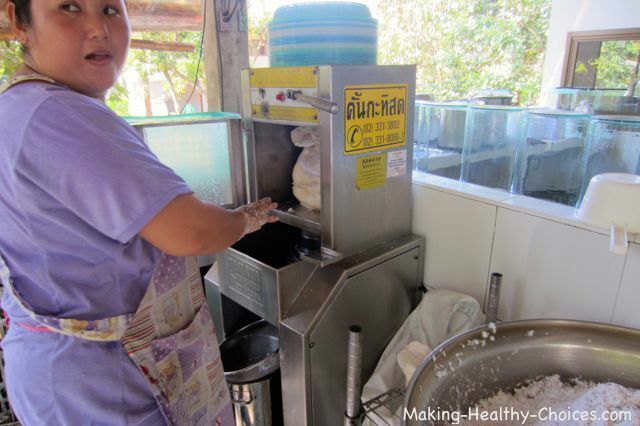 In Thailand, this is also used as feed for animals. 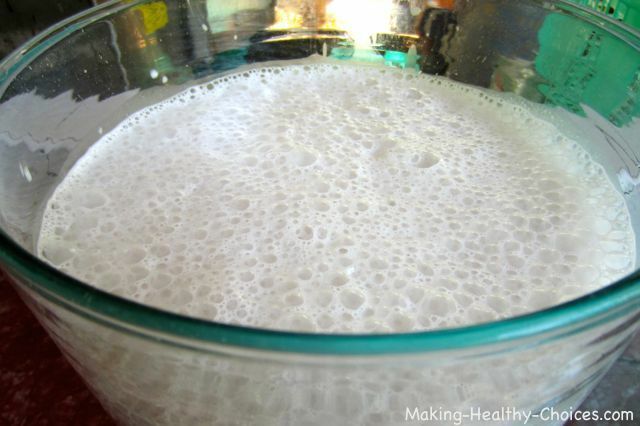 What comes from pressing the coconut shreds is a gorgeous white coconut milk (if not making coconut oil, this milk is wonderful to drink like this or to use in smoothies or other recipes). 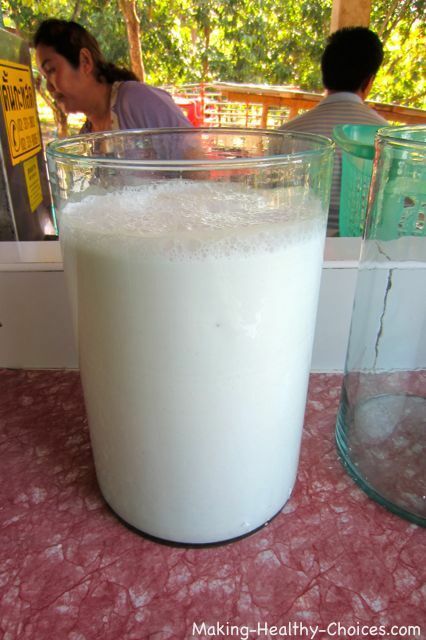 This coconut milk is put into a glass container and left to sit out overnight to separate. The cream rises to the top, the oil in the middle and the water at the bottom. 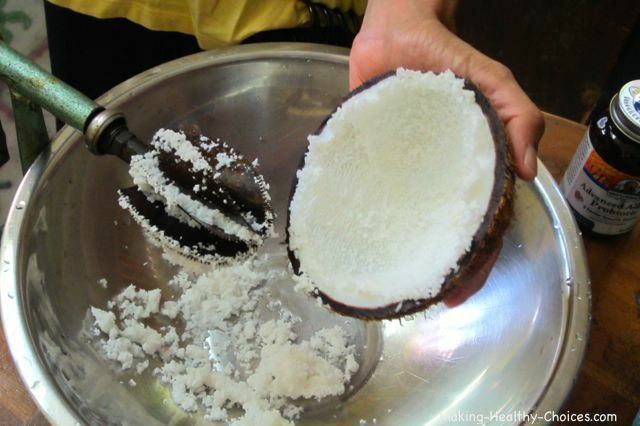 The cream at the top can be skimmed off and used in recipes or to make coconut cheese. The water at the bottom is discarded. It is the layer in the middle that is the oil we are looking for. This oil layer is now filtered and sat to achieve a greater clarity and purity. Once going through the filtration machine you can see that the oil has a slight cloudy look to it. This oil is then covered (with a slight opening) and left to sit for about 3 days. 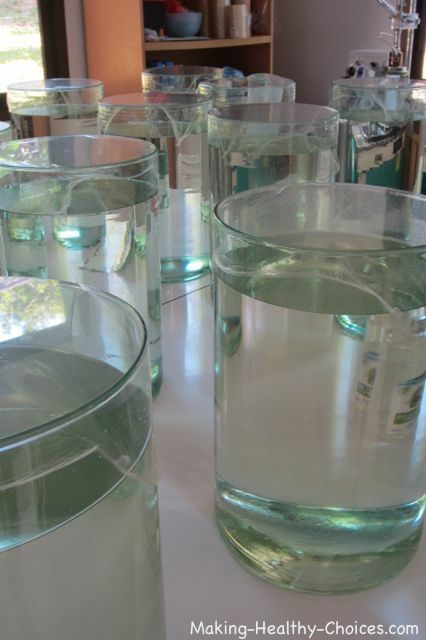 During this time any water within will evaporate leaving the beautiful clear oil. This is the pure, highly nutritious finished product - COLD PRESSED COCONUT OIL. When fats (oils) are heated, their molecular structure is compromised, creating carcinogenic free radicals. Coconut oil is more stable to heat than other plant oils but it is still best when produced without heat. Oils that are heated, when ingested, can contribute to cardiovascular disease and difficulty of the blood to efficiently transport oxygen due to arteriosclerosis. Coconut oil benefits our health and wellbeing in so many ways. Obtain raw organic cold pressed coconut oil from great quality sources and enjoy using it in your life. 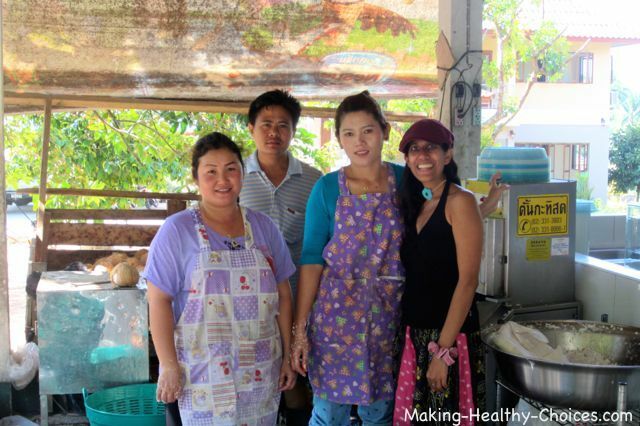 If you would like to purchase coconut oil direct from the farm in Thailand, you can contact them here. Another great online source for coconut oil is here.